What a game, just not quite enough for Team USA. At the end they gave it everything. 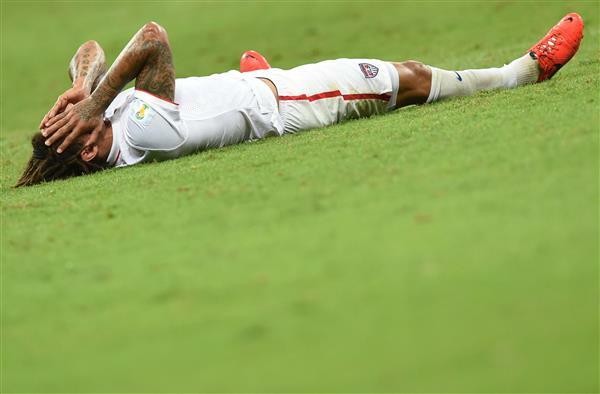 Well played, but the World Cup dream is over -- until 2018. We were so happy to be with you and Team USA today! Your CNN team was Rachel Clarke (defender, Arsenal fan,) Dorrine Mendoza (6th grade goalie) and the amazing knowledge and heart of Eliott McLaughlin -- speediest typing fingers in the West. I'm an Englishman and that was by a country mile, the best game of football I've seen in this competition. USA were brilliant, brave and never gave up. We know it's tough to find any joy in today's result, USA fans, but if there is anything at all to look forward to, it's Argentina-Belgium. There's going to be, like, a billion dollars worth of soccer player on that field. It's going to be a monster of a match. Yeah, it'd still be better if USA advanced. Not to knock my boys, but if they'd played the entire game with the ferocity that they displayed in the last 15 minutes, they might've won 9-0. That was a fine performance against a young, star-studded Belgium team. I know I've been rooting against them for the past two-plus hours, but Belgium played a stellar match. DeMarcus Beasley blazes into the box and puts a nice cross in, but it ricochets right back to him. He puts his next touch long. Just some of his great work tonight. Keep it going! He gets the ball on the left side again but can't outfox Howard. Jermaine Jones had a shot blocked and tumbled to the ground on the tackle, but he gets up and walks to the sideline on his own. The Red Devils are taking a defensive posture, and the USA is taking advantage of it. But can they find that magical ball? DeMarcus Beasley streaks into the box and wins a ball despite being outsized. He drops it to Geoff Cameron, who sends it out of bounds. He finds a ball on the left side and rips a shot on his Everton teammate, but Timmy saves this one easily. Vertonghen gets the ball on the left side after a dish from Romelu Lukaku but can't get a shot on goal. More worrisome: Where the heck was the U.S. defense there? Team USA has almost 25 minutes of soccer left here, so don't give up yet. In fact, remember the Ghana game! We scored the winner with just four minutes left that day. Damnit. Lots of time left, but Kevin DeBruyne finds the far post. USA starts with some possession. Nice. Beasley sends in a cross, which finds Jermaine Jones on the far post, but he can't keep his header down. Goal kick, Belgium. 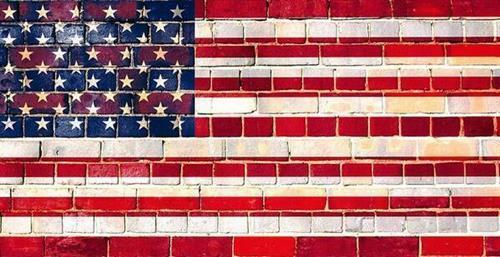 Naturally, the USA wants to win in extra time, but you have to wonder: If we go to penalty kicks, might Tim Howard, with his deft shot-stopping all day, give the U.S. an advantage? More on that in 30 minutes ... maybe. We'll have two periods of overtime. Both will be 15-minutes long. No matter what happens, we will play both halves (i.e. it's not sudden death or golden goal). If we still have a 0-0 standoff after extra time, we then head to penalty kicks. USA can breathe, as the game will go into extra time. So 30 minutes of free football!!! 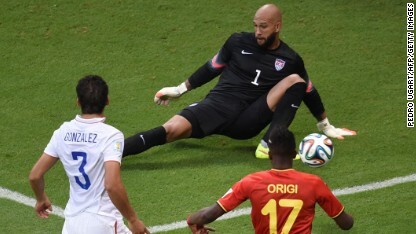 It was a terrible half for the U.S. -- with the massive exception of Tim Howard. On the bright side of things, Team USA spent the last 90 seconds in the Belgian half. Let's see if they can keep that up as extra time begins. Wondo gets the ball about six yards out and can't keep it down. He sails it over goal in what might have been the USA's best chance of the game. 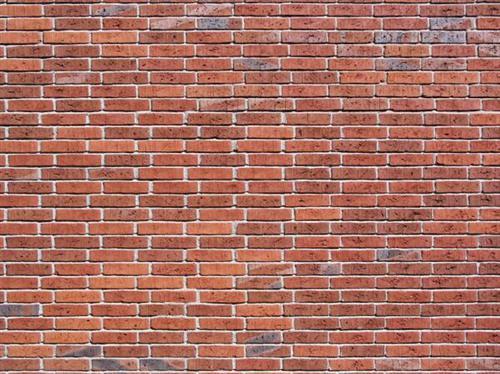 “@_SoccerVines: official new photo of Tim Howard.. #USA http://t.co/YTQCdVli6e”this one is way better than Ochoa's ???????? Belgium 0 vs. Tim Howard 0. U-S-A ???????? The United States of Tim Howard???????? Team USA will have to beat back this assault for three more minutes, the ref says. Vincent Kompany can't corral a cross and puts it on goal, but with no power. Howard bats it away for another corner. He looks a little tired. Three minutes left in regulation and the U.S. has some possession, but easily gives it up, resulting in another Belgian counter. Eden Hazard smashes it left of goal. Wondolowski gets down the right side, and the U.S earns another corner, but no one can get on the end of it.